Ronnie O'Sullivan at Shotz Snooker Club in Arbroath. The five time world champion performed at Shotz exactly a week after enjoying a royal welcome from the Prince of Wales when he collected his OBE. The Rocket played against qualifiers, sponsors and VIP ticket holders in the unlikely setting of the converted Arbroath fish factory. The exhibition saw a sell-out crowd pack into the intimate venue to see snooker commentator John Virgo open the show with his renowned comedy routine. 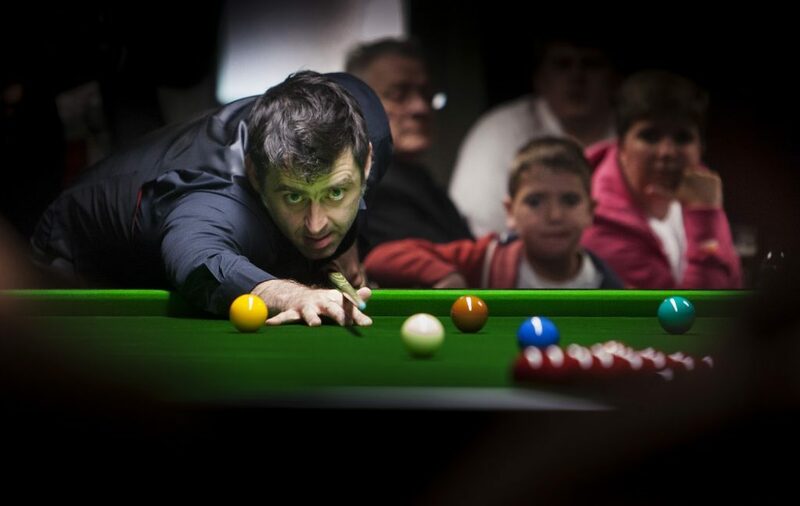 O’Sullivan then showed why he is the game’s greatest of all time as he racked up the centuries while sharing anecdotes, signing autographs and posing for photos. Despite being given a formal warning for skipping his media duties during this year’s World Championship, the Rocket was happy to chat with The Courier before the exhibition. He said he was enjoying being in Arbroath and getting the chance to meet his Scottish fans who might not otherwise have the opportunity to see him play. 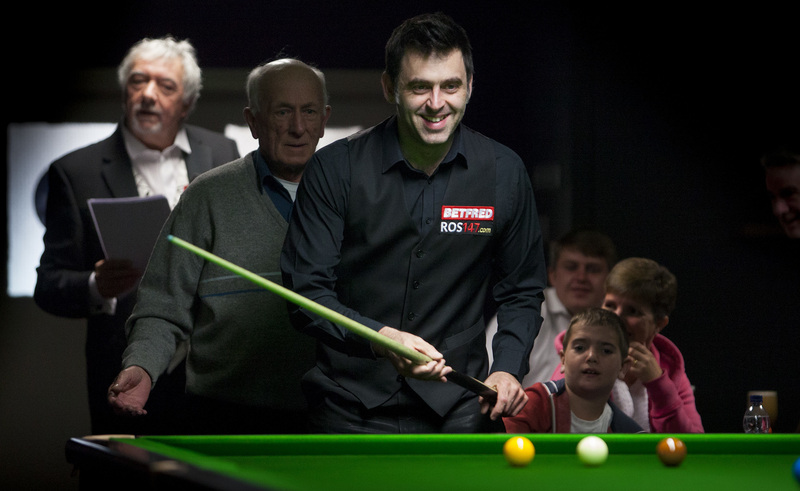 Ronnie said: “It’s good to get a chance to meet the fans in Scotland. “I like playing exhibitions. It’s different from tournaments because it gives me a chance to mix it up a bit. Shotz opened in December 2013 and is owned by Ryan Fleming, 24, and his brother Marc, 26, both of whom play international pool for Scotland. They took a year to convert the derelict fish factory in John Street West into a pool and snooker hall before opening a second club in Dundee last year. O’Sullivan will return to Shotz tonight for a second exhibition and he paid tribute to Ryan and Marc for achieving their dream of owning their own pool and snooker hall. Ryan said it was very hard not to class O’Sullivan as the best player of all time. He said: “Those moments of magic he very often produces under the greatest of pressure set him apart from most other, not only snooker players, but sportsmen in history.